Get ready for a weekend full of fun and excitement as The Row will be hosting a two-day launch party called the Slate Weekend to officiate the opening of its newly completed North Block by the end of the month! 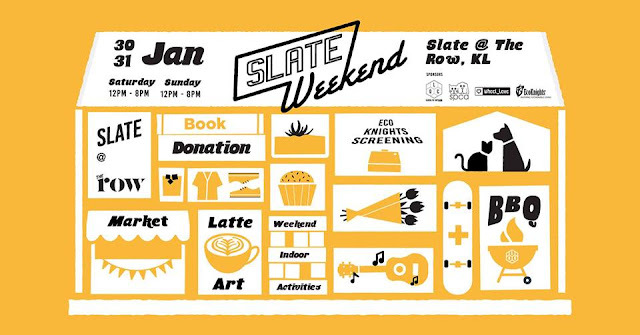 Taking place at The Row, Jalan Doraisamy on 30 and 31 January 2016, the party will feature a variety of events and activities from Skate Jam by Wheel Love Skateshop to EcoKnights Film Screening, and League Of Captains Latte Art Throwdown – it’s gonna’ be a carnival! Apart from that, there will also be a Market by Slate Weekend where a number of hipster-like vendors such as Boys On Teeth, Escape Artist Collective, Doodette, Pebble Paper Design, Ohsum Mossum Terrariums and more will be present at the event. Aside from the activities, League of Captains Café will also be hosting a barbeque in conjunction with Slate Weekend. 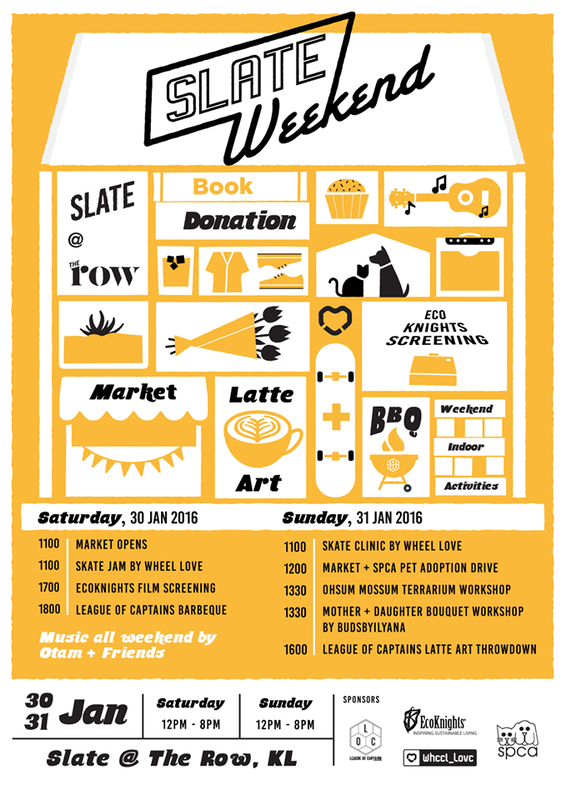 The event takes place from 11am to 8pm and the entry is FREE! The schedule of the two-day mini carnival is as below.